On November 22, 1963 Air Force one with the Kennedys aboard landed in Love Field. This Texas airport would be the last time JFK would get off an airplane. JFK is here in Texas to campaign for his re-election and mend a problem between him and Texas Senators and Congressmen. At the airport a crowd of over 2,500 people showed up to see the President of the United States. John and Jacqueline Kennedy greeted the awaiting crowds at the fence of the airport. After they greet the crowd they get in the infamous motorcade and leave the Love Field airport. Nearly thirty minutes after the motorcade left the Love Field airport, it turns on to Main Street in downtown Dallas. Large crowds filled the streets awaiting the President to roll by. The ten mile route that the motorcade took was filled with about 150,000 people. On its route the motorcade passes the Adolphus Hotel. The president is shot in the back of the head while sitting in the back of the motorcade. At this point everybody is still in shock of what happened and isn’t very sure how to handle it. A secret service member jumped on the back of the car to see what happened to discover half of JKF’s head missing and a screaming Jacqueline. The most influential and most powerful man in the country has just been killed by Lee Harvey Oswald. The Presidential limousine now raced to Parkland hospital to try and save the president. At the same time Lee Harvey Oswald had been stopped by Dallas Police but got out of the trouble claiming he worked in the building. Four Minutes after the shooting the First Announcement of the shooting is announced. 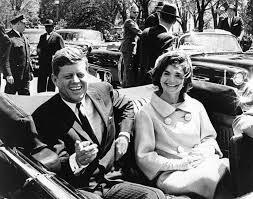 The Motorcade has just reached the Parkland hospital and the attempt to save President Kennedy was now taking place. At this time national news service, CBS, interrupts a popular soap opera to announce to the country that the president has been shot. Shock spreads over the nation as they learn that their leader has been killed. 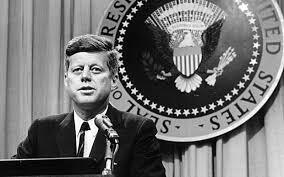 President Kennedy was pronounced dead at 1 p.m. 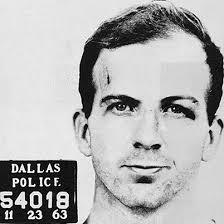 Almost an hour after he was pronounced dead Lee Harvey Oswald was caught. He left his rifle in the building along with two rifle shells on the floor as evidence. Lee Harvey Oswald, who has already been charged with two murders, is shot dead in the basement of the Dallas police department. The gunman was Jack Ruby. That is why the whole case is forever trapped in mystery. Nobody will ever know the complete truth about the assassination and that is why it is the basis for many conspiracy theories. There is the lone gunman theory where people think that Lee Harvey Oswald acted alone to kill the president. There are other conspiracies involving, the mob, government, and communists. People will always have their own opinion but according to forensics the two shots were fired from the Scholastic building which is where they found Oswalds’s Rifle and two rifle shells. By the time all of this was happening LBJ was being sworn in on Air Force . For the rest of the presidential term LBJ was in action as president. The so what of these events would be that this peaceful American way we have had for the past few years. Somebody so important could be killed by virtually a nobody really shook America. Now the president does not go anywhere without with out supreme protection from the secret service protecting him from this happening again. This assassination of the American president changed the world forever and it will never be forgotten. I loved the timeline i think you did a great job on the project . very neat and fun to read and look at. Biggest Takeaway- It gave me more information on what really happened when he was assassinated. It is interesting to read about how the case is not 100 % solved and there are many suspicions on who was involved in the murder, but no cold hard facts. This story about when the president was shot was very thorough. It did a good job telling the story of how it happened, but I think it would have been better to put more information about why it happened, or why it is suspected to have happened. It would also have been good to have more information about what happened directly after and how this assassination affected the country. It was interesting to learn that Lee Harvey Oswald was stopped, but was able to get away. Had he been caught there, this story may have been different. It was also interesting to hear about some conspiracy theories about this, because it was so mysterious. Overall, I thought this was a well written post that had a lot of good information.